Ian McDonald is one of those tremendously talented musicians who has flown under the radar for far too long. Some musicians need the spotlight. Others create music solely for the music. It may seem like a foreign concept to some, but those who master it are true musical kings. McDonald is also…diverse. Yes, that is the correct word. He is a multi-instrumentalist, proficient with the sax, flute, vibraphone, keyboard, and guitar, with a penchant for classical composition. It is this range of musical interests that allowed him to share his talents with several acts, no matter how different they may have been. Thus, McDonald is the subject of today’s “Same Artist, Different Place.” In under a decade, McDonald created two completely different works with two completely different bands. Let’s start with one of my favorite bands, King Crimson. Despite their short existence, the band created one of the most inventive progressive rock compositions of all time – In The Court of the Crimson King. McDonald served as the main composer for this album, and he also suggested the purchase of a Mellotron which made a triumphant appearance on the album. Why? 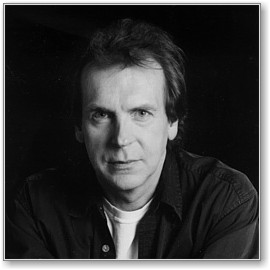 Well, Ian McDonald was one of the founding members of the New York City rock band Foreigner. “Feels Like the First Time,” which appears on Foreigner’s eponymous debut album, was released in 1977, eight years after “I Talk to the Wind” appeared on King Crimson’s debut. McDonald played guitar, woodwinds and keyboards in Foreigner. He also provided work on the drums, horns, and vocals on the album. Face it, the man is a musical jack-of-all-trades. Oh, one more thing, you know the saxophone in T.Rex’s “Get it On (Bang a Gong)?” Yup, Ian McDonald. If you don’t trust links, it can be looked up.